These links are a week old by now but they are cool art. 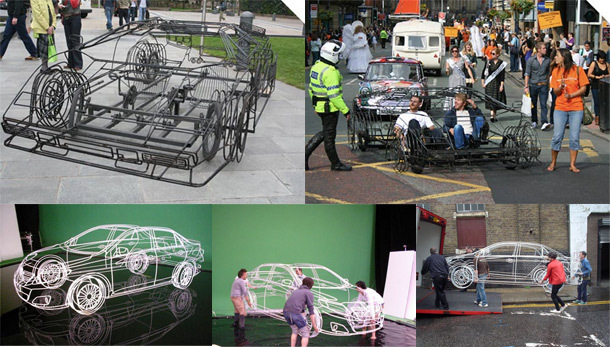 Benedict Radcliffe makes amazing wireframe sculptures. He created a pedal-powered Lamborghini for the UK Art Car Parade and was commissioned by Toyota to make a Corolla. These art pieces are piles of random trash whose arrangement casts a picture in shadow.